In partnership with Sino Group, Niio transformed two of Hong Kong’s largest screens into digital, public art installations. 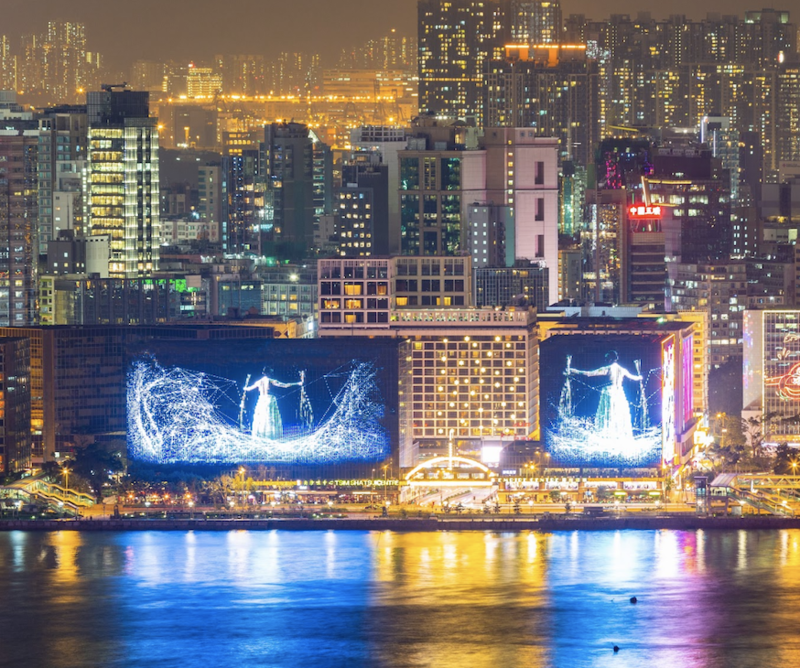 The facades of prominent Hong Kong’s Tsim Sha Tsui Centre (76m x 39m) and Empire Centre (35m x 39m) are showcasing the winning submissions of the Sino x Niio Illumination Art Prizes, a competition opened to emerging digital artists who were invited to submit artworks in the themes of Artistic Blessing and New Life. The competition was held in collaboration with Sino Group, the Hong Kong-based property developer. The winning artwork was created by Daniel Belton and Good Company Arts for the theme Artistic Blessing. Their work, OneOne invokes a sense of ancient culture, an archetype being unearthed through real-world experience that is timeless and contemporary. For the theme New Life, Krehel Race won first place for his work The Spring Shrine representing a world where technology has allowed us to return to our natural surroundings and to find a true Zen space, away from the chaos. “Sino Group is delighted to have collaborated with Niio on this ground-breaking international digital art project. We were thoroughly impressed with the exceptional content of work we received, with artists from 39 countries participating. We hope visitors enjoy the outstanding illuminations on the façade of these Hong Kong landmarks during the festive season,” said Nikki Ng, Group General Manager of Sino Group.